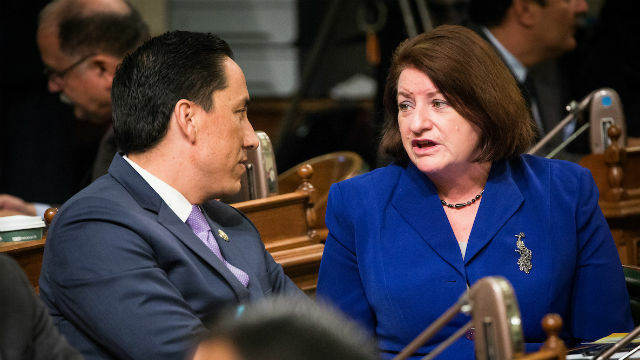 Sen. Toni Atkins announced her endorsement Thursday of Assemblyman Todd Gloria in his 2020 bid for San Diego mayor. Atkins, like Gloria, is a former San Diego City Council member and has served as the acting mayor of San Diego. Atkins is the current president pro tem of the state Senate, the first woman to lead the legislative body. Both are Democrats. Atkins joins Rep. Susan Davis, Assemblywoman Shirley Weber, and Equality California in endorsing Gloria. He announced his candidacy for mayor in January. Should he win, Gloria would become the first person of color and the first member of the LGBTQ community to hold the office of mayor in the city’s history. Gloria called Atkins a “towering figure” in state politics. San Diego City Councilwoman Barbara Bry, attorney Cory Briggs and activist Tasha Williamson also are running for mayor. Gloria and Bry have attracted the race’s most high profile endorsements so far. Bry picked up an endorsement from Rep. Mike Levin last month.